I’ve always wondered what we should do with our pumpkins once Halloween is over. We don’t usually carve them. The kids haven’t been old enough to have free rein with sharp objects yet. And I never process them to make pumpkin because The Farmer doesn’t like pumpkin and won’t eat desserts made from it. So normally they just get thrown in the field. Until this year. Facebook is abuzz with people writing something they are thankful for everyday during November. I’m not. I’m afraid by the end of the month I’ll be posting that I’m grateful for toilet paper and flyswatters. And that seems embarrassing. Instead, I’ve enlisted the family to help me fill up a Thanksgiving Pumpkin. 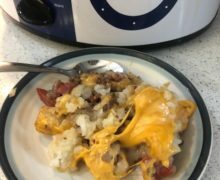 What are we thankful for? Plenty. 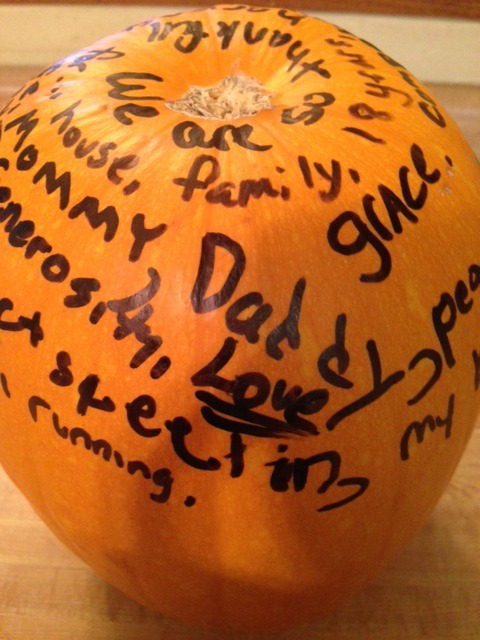 Every night The Farmer, the kids and I write something on the pumpkin. We will continue to do so until we reach the end of the month. 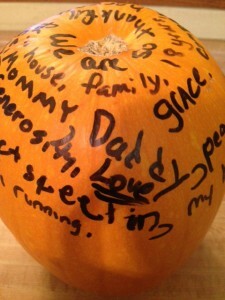 If the pumpkin fills up, I still have a few more we can write on. And I will promise you won’t read that I’m thankful for toilet paper on my pumpkin!